ANN ARBOR, Mich. - For the second season in a row, the Michigan football team will enter its matchup with Michigan State ranked in the top 10. 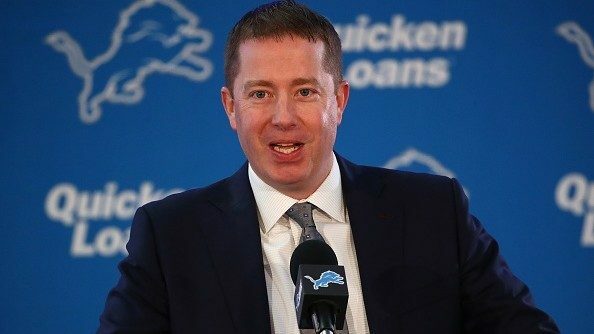 Ironically, this year's team has a loss on its resume but looks much closer to a complete product. At 4-0, the Wolverines entered the 2017 MSU game as the No. 7 team in the country. They were coming off what seemed to be an impressive win at Purdue and had already knocked off Florida in the opener. Michigan State was the first team to reveal the true cracks in Michigan's foundation, as Jim Harbaugh's team lost five games before the season ended. This year, Michigan has to travel to East Lansing, where it won in 2016 but hasn't had much success in the last decade. 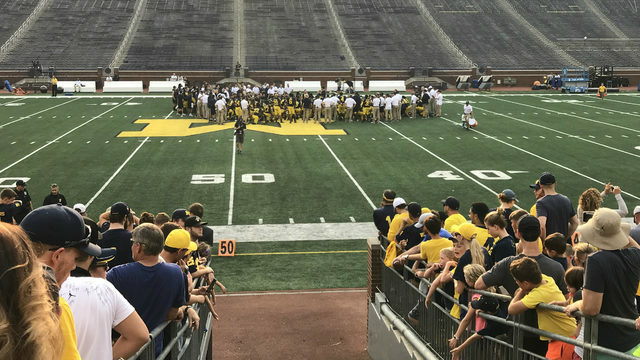 Here are five things that burned Michigan in last season's loss that it has to avoid Saturday. Last season: Michigan lost the turnover battle 5-0 to MSU. The No. 1 reason Michigan lost to Michigan State was turnovers. It's nearly impossible to win a college football game with five more turnovers than an opponent. Specifically, the first turnover of the game was the one that doomed the Wolverines. Michigan started the game with a 64-yard field goal drive, forced a three-and-out and picked up another first down to get to the 38-yard line. Michigan State's defense was on its heels as Ty Isaac took the first down carry eight yards to the 46-yard line, but then he coughed up the ball. Michigan State scored six plays later, took a 14-3 lead before halftime and never looked back. 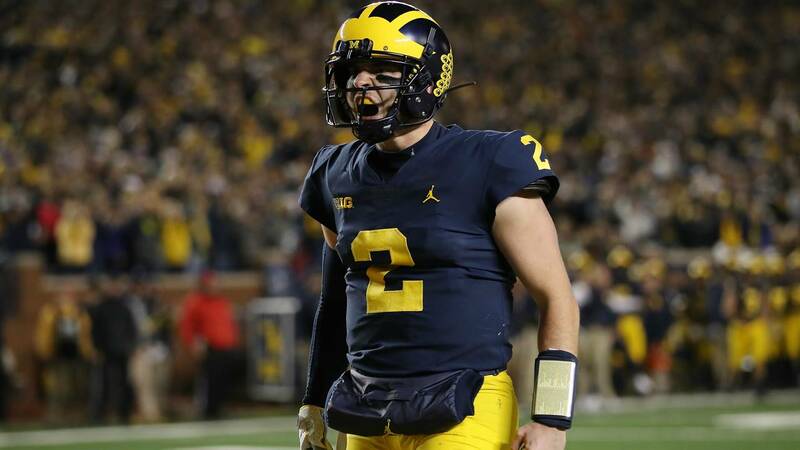 After Michigan scored on its second possession of the second half, John O'Korn threw interceptions on three consecutive drives. Five turnovers is obviously extreme. In fact, this year's Michigan team has five turnovers through seven games. Only four teams have fewer turnovers than Michigan this season, and that has to continue this weekend against an opportunistic MSU squad. Last season: Michigan State won the rushing battle 158-102. College football fans in the state of Michigan know the team that wins the rushing battle typically wins this rivalry game. That was the case again last season, as Michigan abandoned the running game and settled for just 102 yards on the ground. The Spartans averaged 4 yards per carry, while Michigan gained just 2.6 yards per carry. Michigan is running for 217 yards per game this season, good for 28th in the nation. But Michigan State is by far the best rushing defense in the nation, holding teams to 62.33 yards per game on the ground. The next-closest team, Utah, allows 74.83 rushing yards per game. 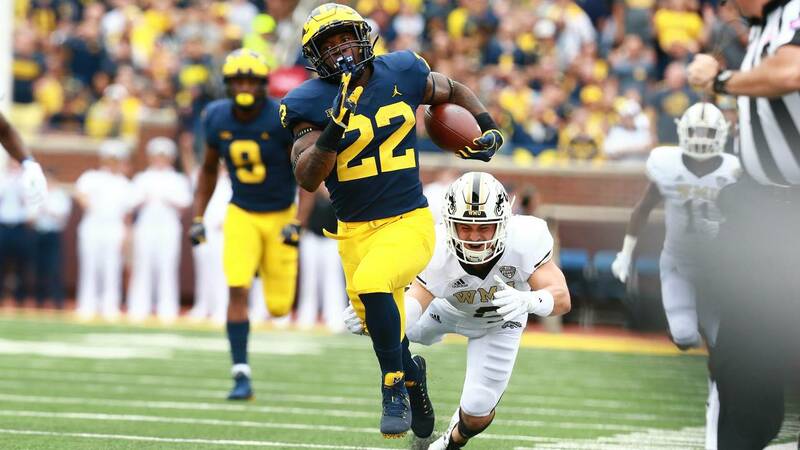 MORE: Is Michigan RB Karan Higdon underappreciated nationally? Something will have to give Saturday as the strengths of the two teams clash. Meanwhile, the MSU offense gains just 123 yards on the ground per game, 115th in the country. Only 13 teams have rushed for fewer than Michigan State's 3.42 yards per carry. Michigan owns the No. 15 rushing defense, allowing 108.36 rushing yards per game. It looks like Michigan State should have trouble running the ball, but Mark Dantonio always has something up his sleeve against the Wolverines. Michigan State is 118th in passing yards allowed per game, so if Michigan can establish some type of rushing attack, Shea Patterson can put the finishing touches on a strong offensive performance. 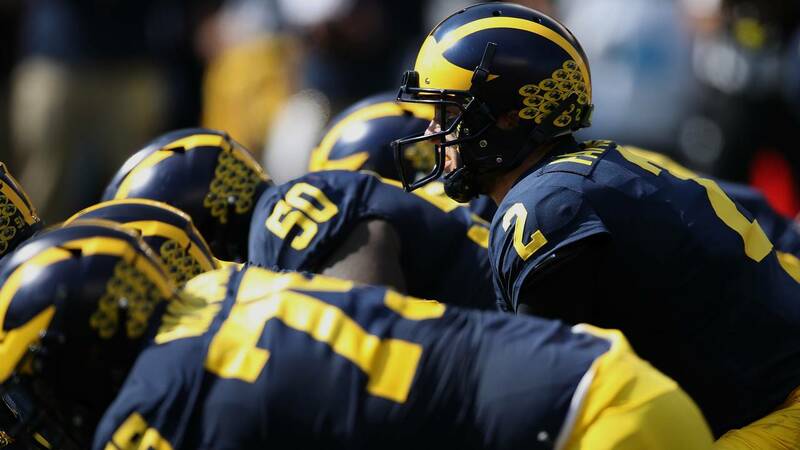 Last season: Michigan allowed four sacks, six tackles for loss and one quarterback hurry. Outside quarterback, the offensive line might be the most improved position group for Michigan this season. Since getting blown up for 60 minutes against Notre Dame, Michigan's offensive line has been excellent in pass protection, allowing just eight sacks in six games. The Wisconsin game broke a streak of four straight games with one or no sacks allowed for the Wolverines. Michigan State is in the middle of the pack nationally with 14 sacks through six games, but that's right in the same range as Notre Dame (16 sacks) and Western Michigan (14), both of which recorded multiple sacks against Michigan. The Spartans are stout up front and will try to rush Michigan into mistakes, a plan that worked to perfection last meeting. Patterson has been extremely accurate when he has time in the pocket, and he can make plays when he's running toward the sideline, as well. Michigan had to give him time to throw, or at least enough time to escape and extend plays. 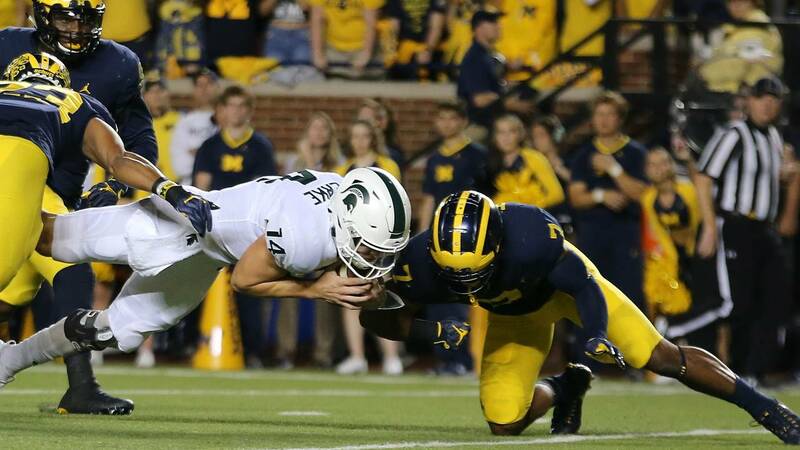 Last season: Michigan had zero sacks against MSU. 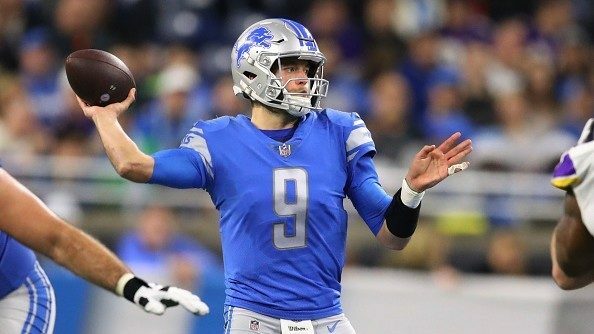 Michigan was the No. 8 defense in the country in terms of sacks last season, with 42 total and an average of 3.23 per game. 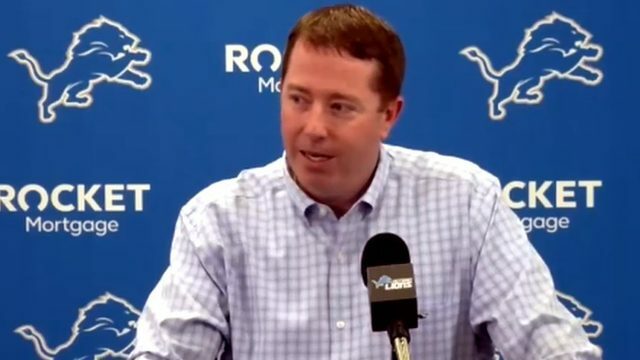 But when Michigan State came to town, Brian Lewerke wasn't sacked at all. 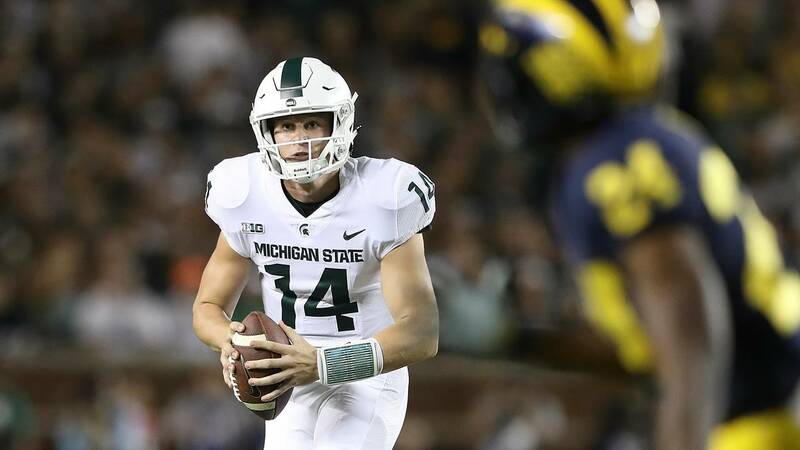 The Spartans only threw 22 passes, but a vaunted pass rush that included a trio of Chase Winovich, Maurice Hurst and Rashan Gary hurried Lewerke just three times in 29 minutes of MSU possession. This year, that absolutely can't happen. Michigan State's 2.5 sacks allowed per game is second-worst in the Big Ten to Illinois, and that's one of the reasons Lewerke has already matched last year's interception total, with seven. With the sacks discrepancy and the turnover differential, it's amazing Michigan only lost by four points last season. If those don't change, it could be a similar result in 2018. Last season: Michigan had one play of more than 20 yards. Sustaining long drives wasn't a strength of Michigan's offense last season, which is why it should have gotten the ball to its playmakers more often. Sean McKeon caught a pass for 36 yards right before halftime, and that was Michigan's only play of at least 20 yards. Even worse, McKeon fumbled at the end of the play, so Michigan's one explosive play turned into a glorified punt. It's difficult to put together long drives against Michigan State's defense, so Michigan needs to get the ball to its playmakers and let them gain big chunks of yardage. SIX STRAIGHT: Was the Wisconsin blowout Michigan's best win of Jim Harbaugh era? Donovan Peoples-Jones had no catches, one rush for six yards and three punt returns for six total yards in the matchup last season. This year, as Michigan's co-leader in receptions and runaway leader in receiving touchdowns, Peoples-Jones needs to be much more of a factor, especially against a poor pass defense. Michigan also has Nico Collins as a deep threat this season, and Zach Gentry is a different player than a year ago. That trio has combined for 60 catches, 854 receiving yards and seven receiving touchdowns this year. Jim Harbaugh can also mix in players rush as Ronnie Bell -- who has two long touchdown catches this season -- and Ambry Thomas -- who has three touches on offense but showed his big-play potential on a kickoff return against Notre Dame. Patterson has plenty of weapons at his disposal this season, and Michigan needs to use them.